Sleeping in Guamote or Palmira allows us to experience a truly remote region of Ecuadorian Sierra. 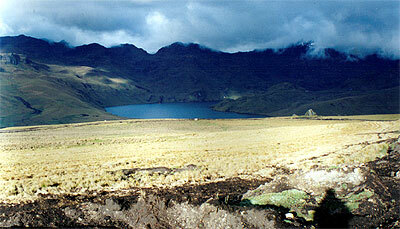 To reach the lakes we must cross high, cold and extensive páramos populaled by flocks of sheep. Most visitors agree on the magical pull felt when the first lake is just seen from a distance...Worth the whole trip..